The new role models for the community. WASHINGTON, DC: While Indian Americans are typically known for their accomplishments in the areas of engineering, medicine, or even business and entrepreneurship, the community at-large is becoming increasingly recognized for proving its mettle in the field of education. 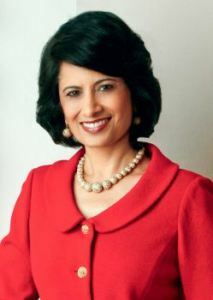 Renu Khator – Khator is the 13th president of the University of Houston System of colleges. She is the first female Indian American to be the president of a major research university anywhere in the United States. She earned her bachelor’s degree in 1973 from the University of Kanpur, followed by her Master’s degree in political science in 1975 and her Doctor of Philosophy degree in political science and public administration in 1985, both from Purdue University. Rakesh Khurana – Khurana is the new Dean of Harvard College, arguably the most prestigious school in the US. He earned his B.S. degree from Cornell University in industrial and labor relations, then went to Harvard for his A.M. in sociology in 1997, and his Ph.D. in organizational behavior in 1998. He worked at the Massachusetts Institute of Technology briefly before coming to Harvard in 2000, where he has been ever since. Previously, he was the Bower professor of leadership development at the Harvard Business School – which has a new wing named in honor of alumnus Ratan Tata – and the head of the school’s Cabot House. 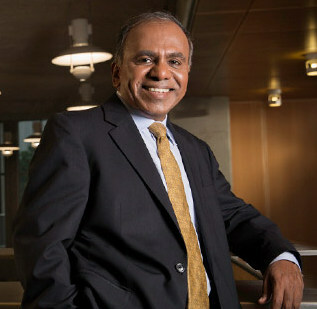 Subra Suresh – Suresh, originally from Chennai, is the current President of Carnegie Mellon University in Pittsburgh, which is one of the leading engineering and STEM schools in the country. He came to the US in the 1970s for his post-graduate studies. In addition to being with Carnegie Mellon, he was appointed by President Barack Obama to join the national Science Foundation in 2010, and acted as its director until last year. 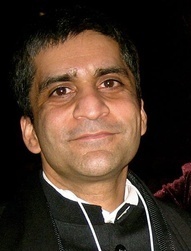 Sujit Choudhry – Choudhry is the Dean of the School of Law at the University of California’s Berkeley campus. He earned his B.Sc. in Biology from McGill University in 1992, followed by a B.A. (with first-class honors) in Law from the University of Oxford’s University College, in 1994. Following that, he went to the University of Toronto, graduating with an LL.B. (with honors) in 1996, and an LL.M. from Harvard Law School in 1998. Previously, he was at the University of Toronto and New York University, and is also a Rhodes Scholar. Nitin Nohria – Nohri is the Dean of the Harvard Business School, a position that he has held since 2010. He earned his B.Tech in Chemical Engineering from IIT Bombay, followed by his Ph.D in Management from the Sloan School of Management at the Massachusetts Institute of Technology (MIT). In addition to being the Dean of HBS, he is also the George F. Baker Professor of Business Administration, the co-chair of the HBS Leadership Initiative, and is working closely with colleague Khurana to further develop the school’s M.B.A. program. Soumitra Dutta – Dutta is the Dean of the Samuel Curtis Johnson Graduate School of Managemetn at Cornell University, where he has been since mid-2012. A native of Chandigarh, he has held positions at Oxford and Cambridge Universities, and is widely published by the Harvard Business Review and other prestigious industry publivations. He earned his B.Tech in Electrical Engineering and Computer Science from IIT New Delhi, then went to UC Berkeley for his M.S. in Business Administration and Computer Science, along with his Ph.D. in Computer Science. Dr. Subra Suresh (courtesy of Carnegie Mellon University). Jamshed Bharucha – Bharucha is the President of the Cooper Union, a private College in Manhattan’s East Village that is dedicated to the advancement of science and art. Originally from Mumbai, he is a graduate of Vassar College, Yale University, and Harvard, along with the Trinity College of Music. He has held positions at Dartmouth University and Tufts University in the past, having been an Associate Dean of Sciences at the former and a Provost & Senior Vice-President at the latter. Satish K. Tripathi – Tripathi is the President of the University of Buffalo. He attended the Banaras Hindu University before emigrating to Canada, where he attended the University of Toronto and the University of Alberta. He taught computer science at the University of Maryland before becoming the Dean of the Bourns College of Engineering at UC Riverside. He became President of the University of Buffalo in 2011, and was the highest paid President in the State University of New York (SUNY) system between 2012-2013. Pradeep Khosla – Khosla is the Chancellor of US San Diego, and has held several high-ranking positions in the education field. He earned his B.Tech with Honors from IIT Kharagpur before earning his MS and Ph.D. at Carnegie Mellon University. He was previously the Dean of the school’s Carnegie Institute of Technology, and has taught electrical and computer engineering extensively there, too, before moving to UC San Diego. Vistasp Karbhari – Karbhari is currently the President of the University of Texas at Arlington (UT Arlington). 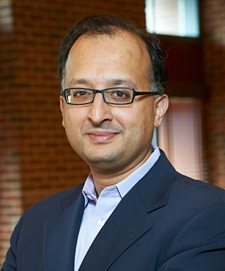 He earned his bachelor’s and master’s degrees in Engineering from the University of Pune, and then came to the University of Delaware from his Ph.D. He taught at UC San Diego and was the Provost and Executive Vice-President for Academic Affairs at the University of Alabama at Hunstville before joining UT Arlington.